No treatment is risk free, but Save Face want to ensure that the risks associated with selecting an unqualified practitioner, operating from unsafe premises are eradicated. If you’re thinking of having dermal fillers and live in Newcastle or the surrounding area, Save Face can help you avoid the unnecessary risk involved in selecting an unqualified practitioners. At this moment in the UK, non-surgical cosmetic procedures are nearly completely unregulated. 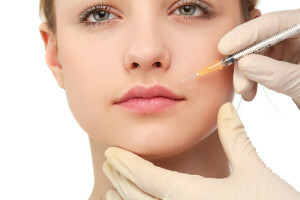 This means that treatments like dermal fillers can legally be administered by anyone, regardless of their qualifications or previous experience. Unfortunately, as the number of people seeking non-surgical cosmetic interventions has risen in the UK, so have the number of untrained practitioners offering their services. Whilst in the eyes of the law these individuals aren’t doing anything wrong, the consequences have been disastrous. Thousands of people in the UK alone have suffered these complications at the hands of untrained, unethical practitioners, but still the risk to the general public remains. In April 2013, Sir Bruce Keogh, The Medical Director for the NHS in England, carried out a review of the regulations surrounding cosmetic interventions in the UK. In it, he emphasised the fact that people having dermal fillers have no more consumer protection than if they had purchased a ballpoint pen. He recommended that dermal fillers become classified as a prescription-only medical device, and that all practitioners who administer these procedures be centrally registered. However, despite Sir Keogh’s advice, the government has declined to act. Save Face is an independent and impartial accreditation scheme for doctors, nurses and dentists who provide non-surgical cosmetic treatments. Our register of accredited practitioners who have been assessed onsite against our strict set of objective standards is accessible to the public via our multifaceted search engine. It is our belief that by providing those seeking non-surgical cosmetic treatments with a means of connecting with experienced, properly qualified practitioners in the UK, we can stamp out unsafe practice. Selecting a Save Face Accredited Practitioner is the only way to differentiate between the good, the bad, and the downright dangerous. Use the Save Face search engine today stay safe, not sorry.